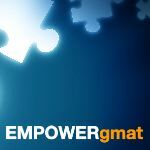 4) When are you planning to retake the GMAT? Hi EMPOWERgmatRichC, Sorry for delayed response. I scored 710 (Q50 V36) and 750 (Q50 V45) on my gmat official prep mocks. I always used to score atleast Q50 in my mocks. including gmat club tests. However in main GMAT exam, I failed in time management and scored Q49. So, I am not much worried about my quant score. I can improve it with more practice and by not feeling nervous in exam. I scored V33 in my main exam, which is the lowest I got among all my mocks. In fact I felt that I did good in exam after finishing verbal section but was shocked to see the score. I need to know in which section of verbal I struggled the most so that I can concentrate more on that. I am planning to apply to Indian institutes such as ISB, IIM-A, B & C this year. So I want to retake the exam by this may or june. 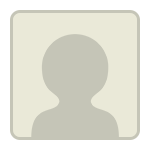 I've sent you a PM with an analysis of your ESR and some additional questions. First off, I agree that 680 with a Q49 is a fantastic starting point. That said, before providing further advice, I’d also like to learn more about your situation with the GMAT. Once you respond to the questions already asked, I can provide specific advice. Also, you may find it helpful to read this article: How to Score a 700+ on the GMAT — A Mini Guide for Success. Hi Pradeep, the ESR actually shows that all three areas would benefit by re-working, though CR perhaps slightly less so. Good thing is that you seem to have managed time quite well in Verbal (as opposed to Quant where you were very short on time towards the end).